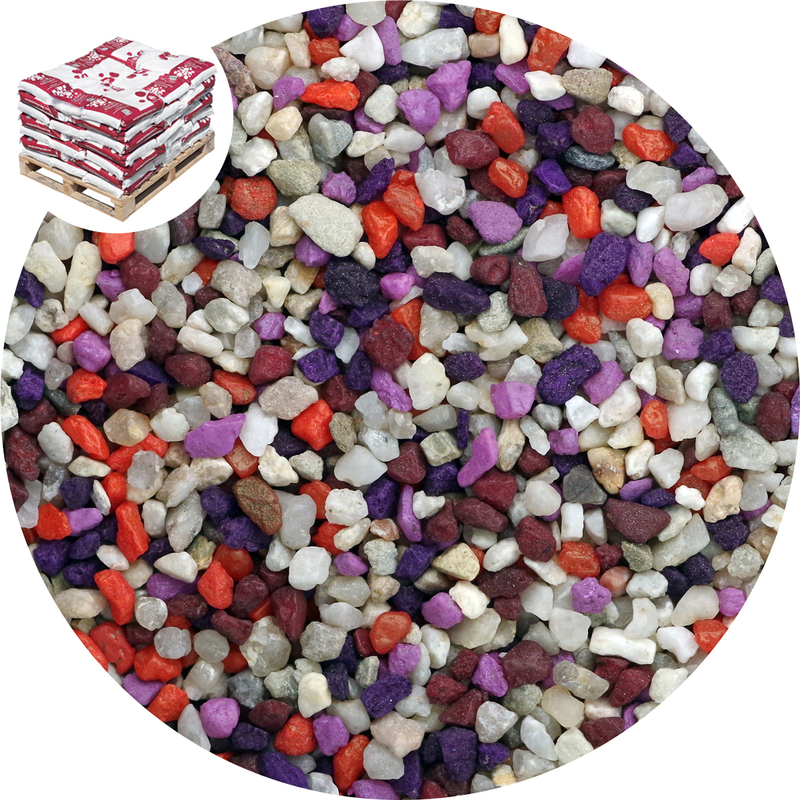 Multi coloured aquarium gravel. 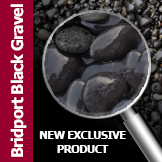 Fish friendly, our aquarium gravels have been used with confidence as an aquarium substrate for over 25 years. Gravel size: Approx. 2-3mm Mini gravel is best described as half way in size between a coarse sand and our normal 3 to 5mm rounded gravel. 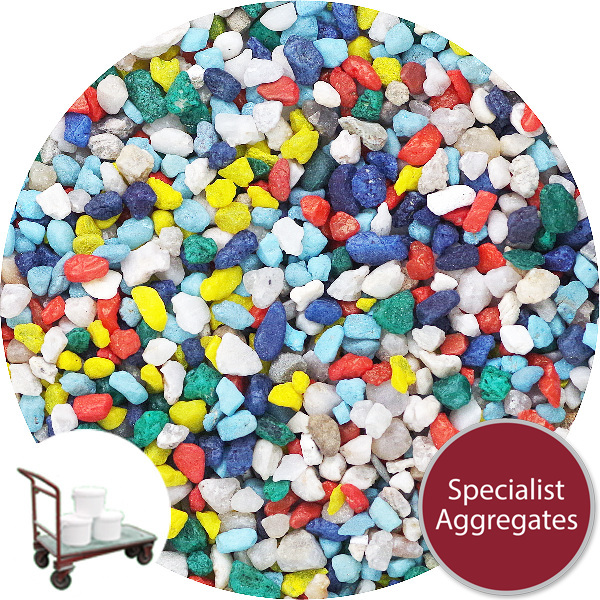 Multimix coloured rounded gravel created in the UK by Specialist Aggregates. 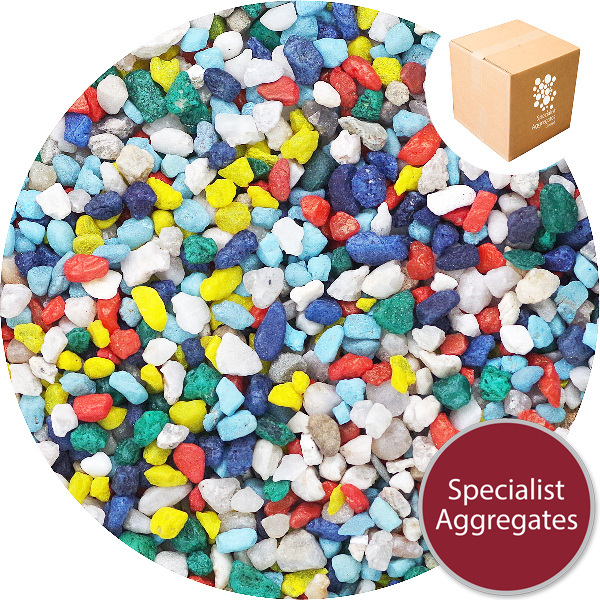 Manufactured using top quality quartz gravel which has been triple washed and carefully dried before being colour coated using a durable polyurethane resin. The resulting product is both colourfast and waterproof. This together with rounded particle shape and neutral balance in water makes it an ideal aquarium substrate. (Wash before use). 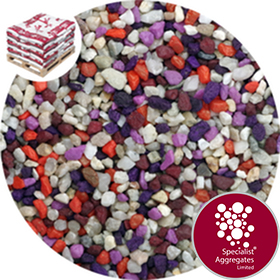 Specify: Anemone Multi mix coloured gravel from Specialist Aggregates.